Wow it looks even better than I thought it would! 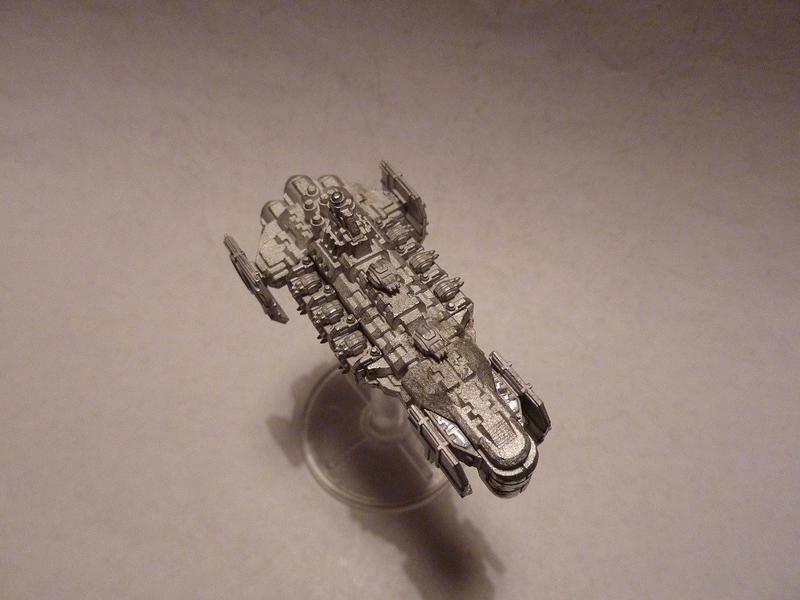 Hi people I'm looking for some feedback, I have in now masters of the little civilian ships which are currently cast on to sprues as seen in the first picture of the original prints, obviously they do not come with stands as I was anticipating that people would want to drill them and mount them on wire. It occurs to me now that customers may prefer cast on stands to save a lot of labour and so I'm looking at detaching them from the sprues and casting on the flight stand show in the second picture. This stand will fit standard epic bases with the 6mm recess. The other option is to provide these bases loose and you drill and pin them to the models yourself, what would be the preferred option please. 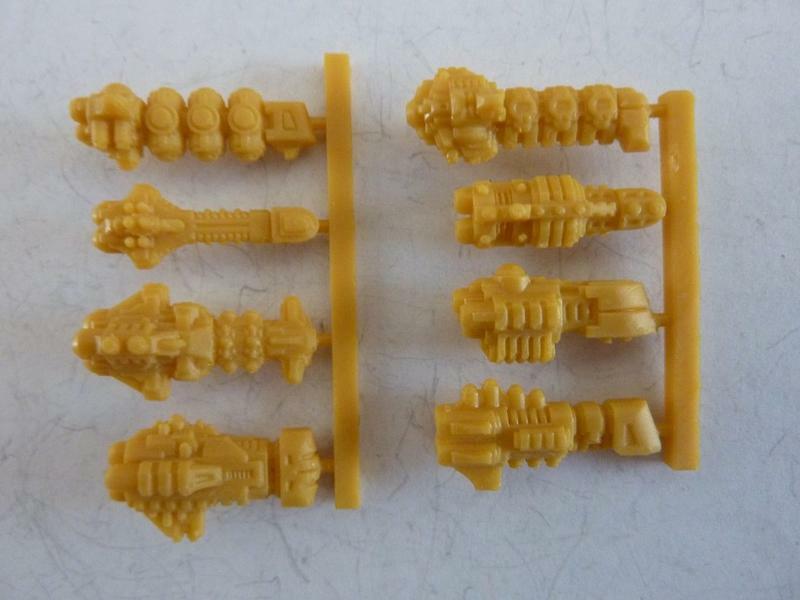 Models are around 20mm long. First of all, those models are really, really great. I have always loved to add civilian stuff in all my wargames, to help for scenarios, just athmosphere, etc. As for pinning, i think that every models has a gravity point where the most owners will drill a hole to add anything they want to base the stuff. So you could very well add a hole and it would help 99% of the people who bought them. As for the exceptions, people wanting a special pinning, a hole in the lower side should absolutely not be a problem. At best, it's not visible. At worst, everybody today can add some green stuff to fill it. So i would say drill a hole, a small one not to bother those who want to base the vessels with a particularily thin pin... And even, standard Epic holes where OK i think. Love these mate. 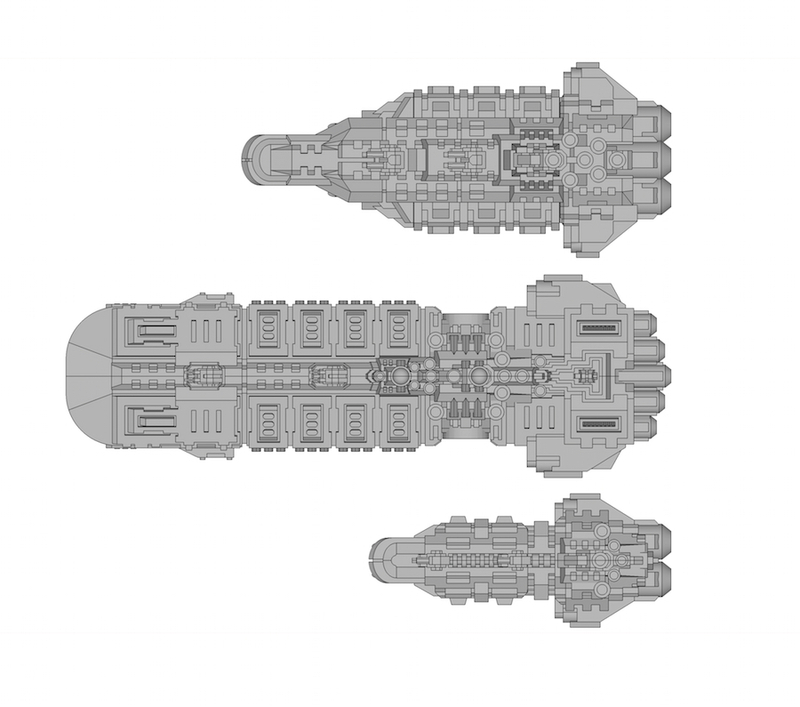 The transport/ inter-system shoops look great but that heavy cruiser looks beefcake. I really, really need one. 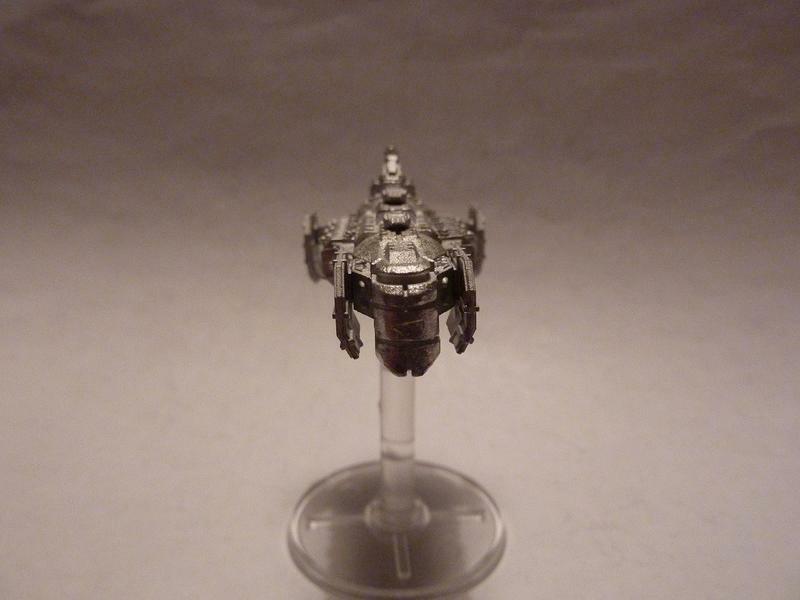 The Panthera class Heavy Frigate is the workhorse of the Novan Elite fleets. Heavily armed and armoured, its various weapon configurations allow it to fulfil many different void combat roles. No matter its broadside configuration, the Panthera’s basic armament includes two heavy twin or optionally triple linked dorsal mounted turrets and two pairs of prow torpedo tubes. 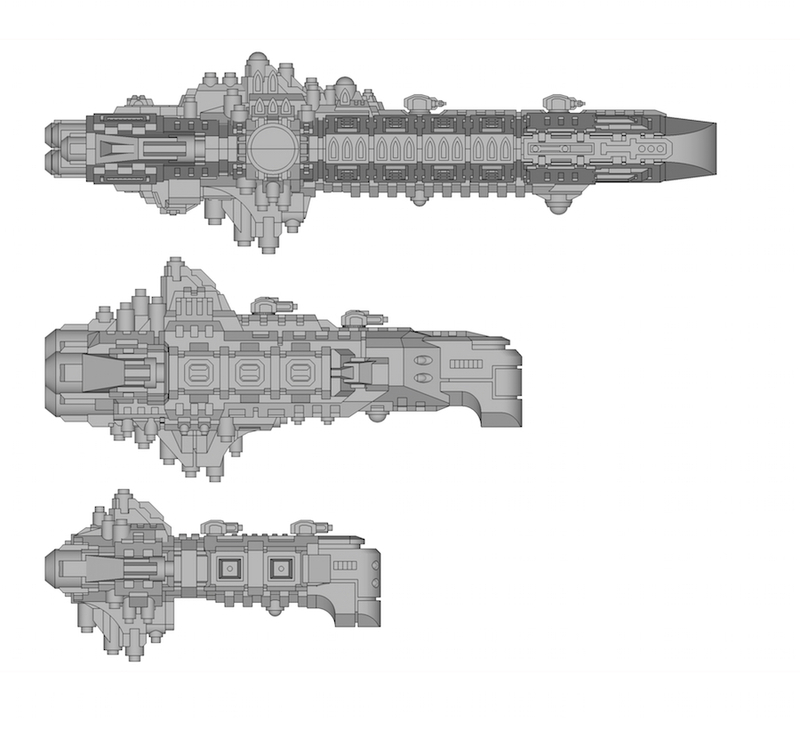 Its broadsides allow for different types of weapon systems which can be changed whilst in dock due to it’s modular design. Most commonly used are weapons batteries, more than capable of tearing huge chunks out of enemy vessels many times its own size. Another popular configuration for the Panthera is to fit it with launch bays, allowing the heavy frigate to carry several squadrons of Javelin fighters and Pilum bombers. In order to protect other ships of the fleet from waves of ordnance and enemy fighters the Panthera is sometimes also configured with broadside turret platforms capable of projecting a withering volume of defensive fire. 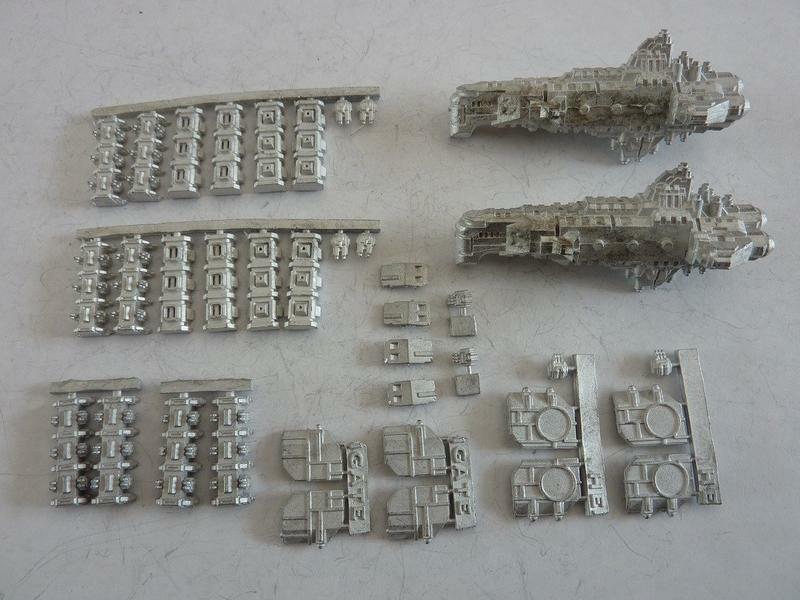 This set now contains the components necessary to build the Panthera II refit version as an option. 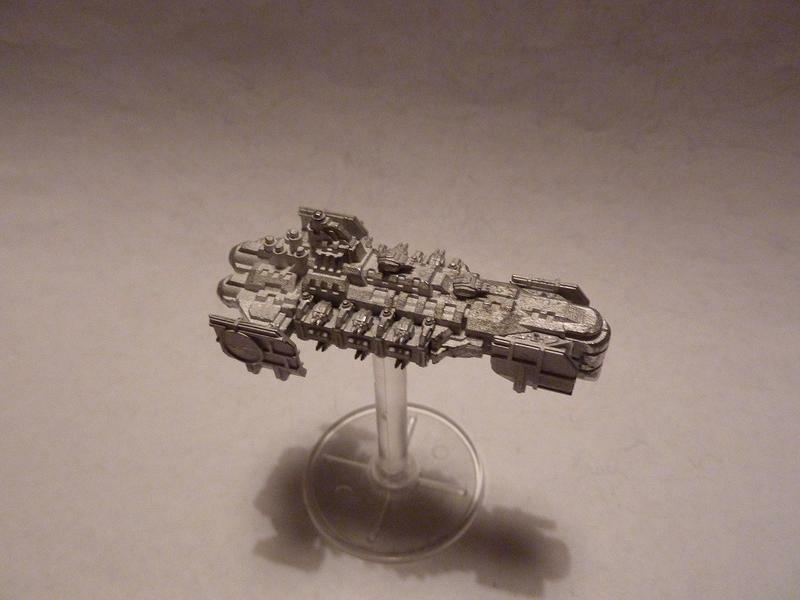 Model is 52mm long, bases not included. 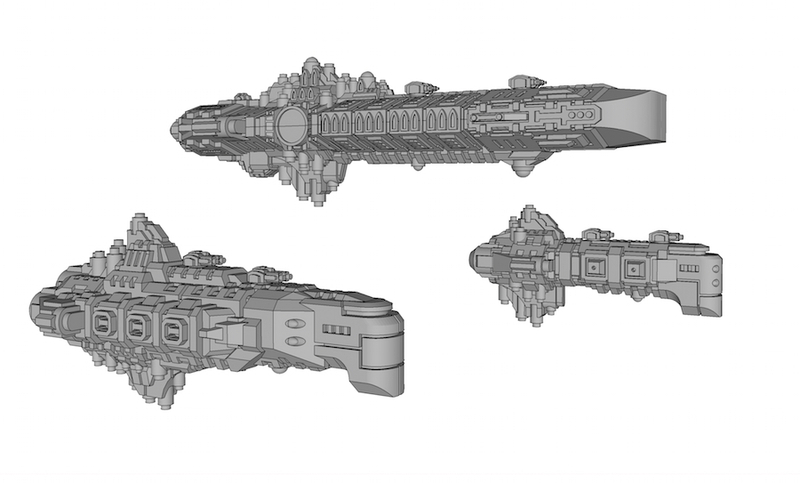 This set is made up of 8 different ship designs representing various Novan Commonwealth civilian vessels. Please note that these ships do not come provided with a flight stand or have a pilot hole for one. You will need to drill your own hole wherever appropriate and use a stiff wire support to base your ships on. Bought mine. Really looking forward to painting these up. I have NO idea what they'll be yet though.... Maybe =][= cruisers or something. 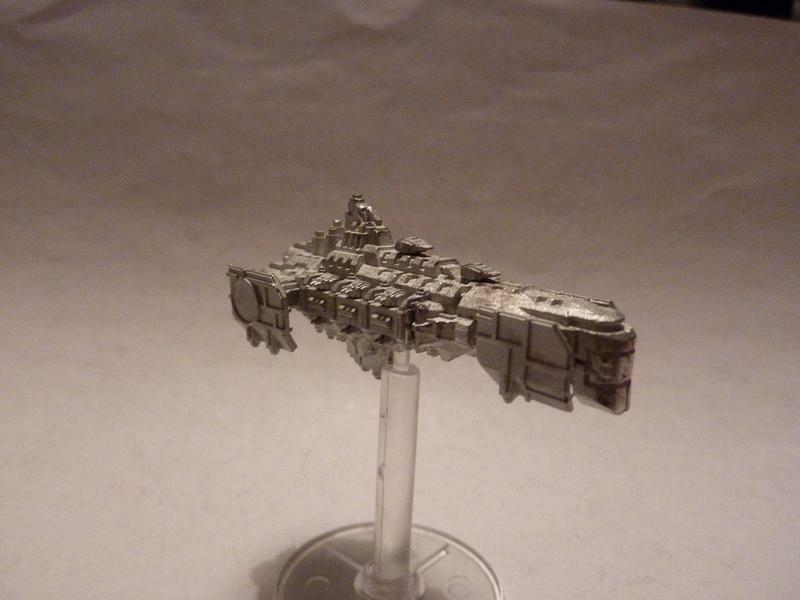 Doing mine as Astartes strike cruiser alternatives... Time to try that spaceshark colourscheme on s cruiser! Great stuff. Think best models to this date from this line. Both the bigger ones and the civilian vessels. Long and swift as a blade. So report on the panthera... Great kit. Conversion kit easy to use. 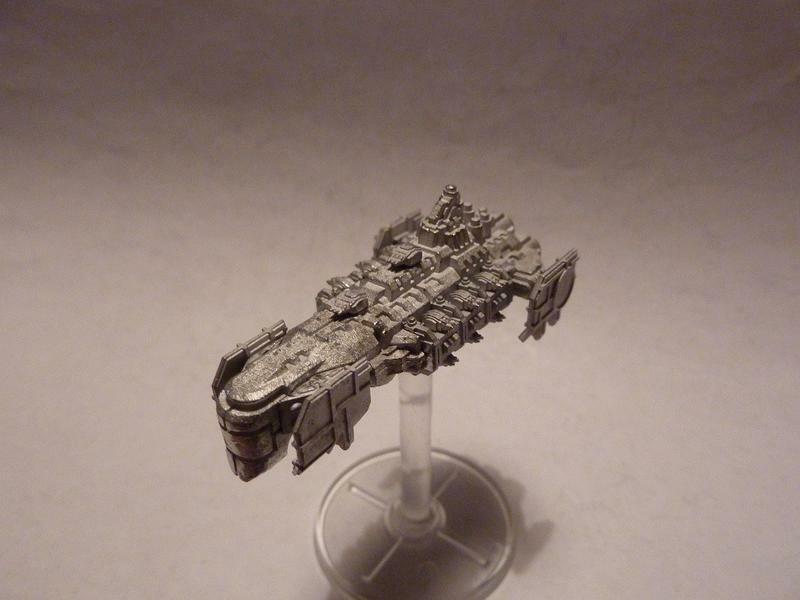 However even though it was a great model and so nice to work in metal again I totally funted up the paint job. Might try again soon but totally dissolutioned at present. Why do I have absolutely no luck with Astartes vessels that aren't with the inquisition..?